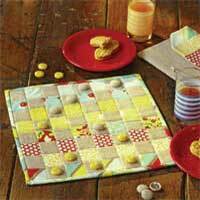 I love this quilted checkers set by Rashida Coleman-Hale in Sew News. Definitely going on my list of things to make, thanks to Sew Mama Sew. Moms are bawse (I learned some new slang this week, there goes the neighborhood). It was back-to-school shoe shopping time again last week, as it has been for most of the years of my life. My mom can’t get through a September without buying someone new shoes, and I tend to stick my feet in her path until she covers them with some new fabulosity. When my two-year-old niece starts school I’m in trouble. Anyway, I sent my mom a link to these moccasins I was coveting, and I mentioned that I also need a new school bag because I’m in a fight with the one I’m making and couldn’t decide which of these argyle beauties to get from Lands’ End. I can’t make these kinds of decisions, and apparently neither can she. 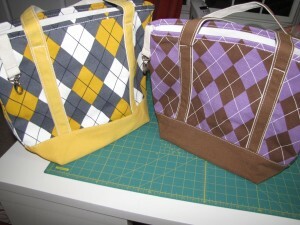 When my shoes turned up, so did BOTH argyle totes I wanted. Which one do I move into first? 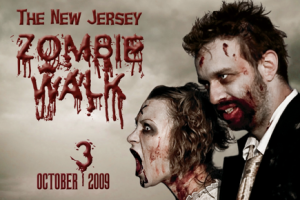 NJ is having a zombie walk not too far from me next Saturday. I’m making an attempt to get into the Halloween spirit this year (not my favorite holiday), but I can’t decide if this would be amazing or just scar me for life. This photo is already making me uncomfortable. Today is Fame Day! 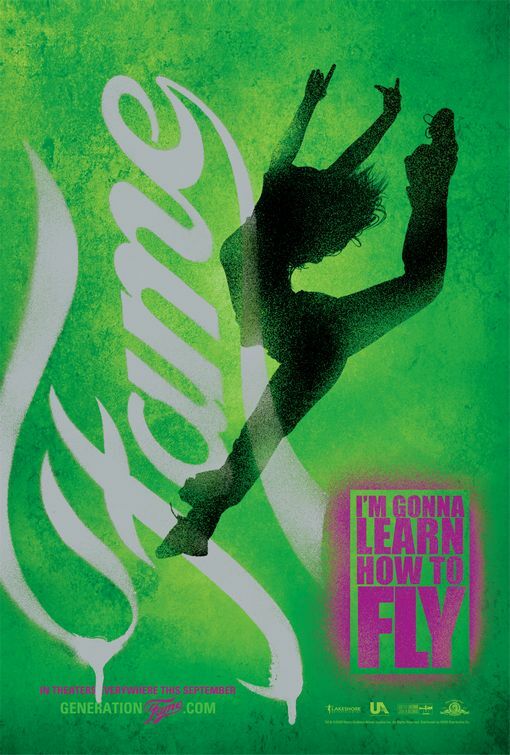 I’m meeting my friend Laura Ann in Manhattan for opening night of the Fame remake. I was going to knit legwarmers, but I just don’t have that kind of time.